Closeup of cantaloupe melon slices with mint and ice served on vintage sliver plate. sweet fruit dessert still life. 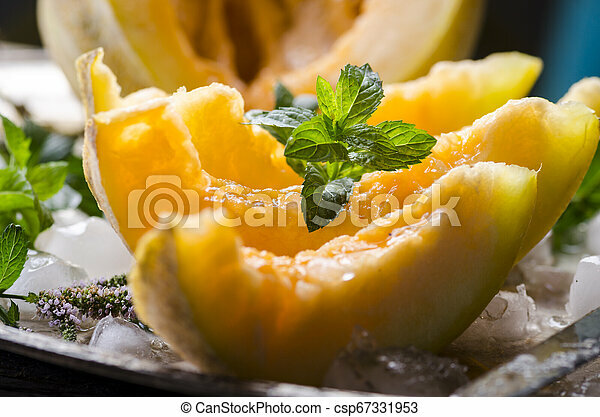 Closeup Of Cantaloupe Melon Slices With Mint And Ice Served On Vintage Sliver Plate.